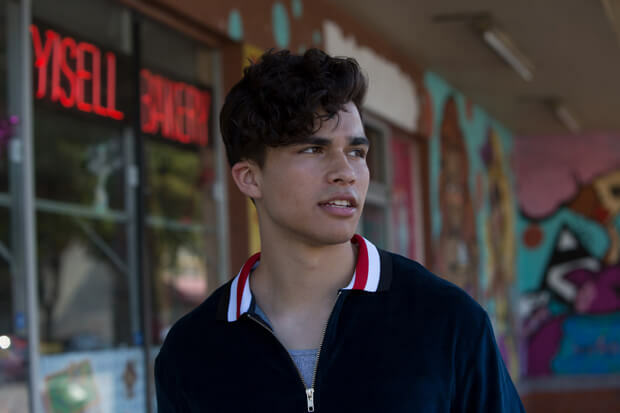 Alex Aiono dances the pain away in his “Big Mistake” video. The 22-year-old amassed a dedicated following with a series of “flipped” versions of popular songs. He hit it big when a mashup of Drake’s “One Dance” and Nicky Jam’s “Hasta el Amanecer” went viral in 2016, racking up more than 64 million views on YouTube. More recently, the multi-instrumental producer and singer has taken on hits by the likes of Ariana Grande, Khalid and Dua Lipa. The rising star now unveils new material. “I’ve forgotten how to love because of you, I know that I’ll be ok — Oh, you were my big mistake,” Alex tells an ex on the chorus. Despite the initial sadness, he finds closure on the bridge. “One day you gon’ wake up missing something you can’t replace, yeah. You gon’ try to make up, but sorry’s just a little too late,” he emphatically declares. The accompanying video showcases the emotional toll of a breakup. In it, the hitmaker wears a straight jacket and tackles a choreographed routine in front of neon lights. Alex delivers a compelling performance and visibly goes through the process of purging a lover from his memories. We’re excited to premiere Alex’s “Big Mistake” video below.